Pathways Psychology Services has been at the forefront of providing empirically supported trauma treatment and parent coaching services since it was founded in 2007. Dr. Joe Roszkowski has been involved in working with DCFS, adoptees, foster care, and traumatized children since 1998. 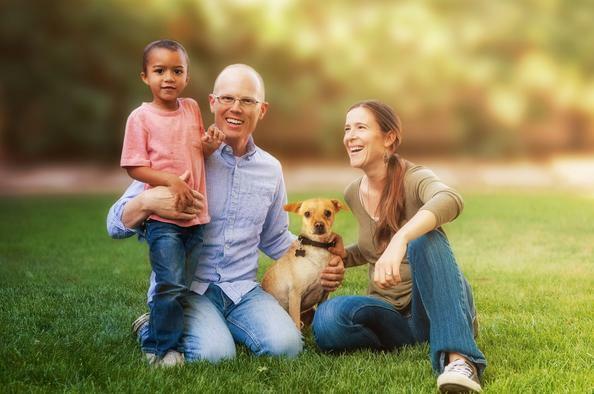 He served as the Clinical Director at Our Children’s Homestead, a specialized foster and adoption agency and then transitioned to overseeing a counseling service contract for DCFS with the founding of Pathways Psychology Services. Pathways Psychology Services continues to provide services for DCFS and youth receiving adoption subsidies. Pathways is a popular referral source for foster care, adoption, and intact family service agencies in the Chicagoland area providing services for some of the most challenging cases involved in these systems. The clinicians who make up the Trauma-Informed/In-Home Counseling Program have specialized training in addressing and supporting individuals and families who have experienced trauma. Pathways is also able to provide treatment for PTSD and trauma in our office locations. Children and teens who have been adopted do not necessarily show a common pattern of issues associated with adoption. In fact, while some children or teens may have difficulty adjusting to the notion of adoption, other children seem to adjust relatively well with little or no discussion about it at all. 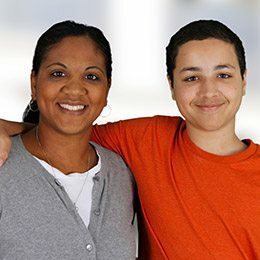 There are many factors that can affect how a child will adjust to adoption including early attachment patterns, age of adoption, and unique personality traits. It is important that children feel supported by their parents in being able to explore issues around adoption and ask questions that they may have. Parents often struggle with making the right choices for their children regarding issues that may come up around the adoption such as when to tell the child about adoption, contact with biological parents, and how much information to share. Unfortunately, the best answer to many of these questions usually is, “it depends”. Meaning, it depends on the child, nature of the situation, current issues with the child, nature of information to be shared, among other factors. A therapist can help parents in exploring and answering these questions to find the best answer for their situation. Therapy can also aid the child in helping them to sort out identity issues and self-esteem issues sometimes associated with adoption and allow the child to work through these challenges in a healthy and safe manner. Some suggest that attachment issues can carry over from as early as the first few months of the life of a child. Attachment issues or Attachment Disorder can affect a child’s ability to effectively attach to parents and other family members. Problems with attachment can affect peer relationships, relationships with teachers, and continue to affect patterns of family interaction. Attachment problems can affect a child’s ability to calm themselves down, regulate their emotions, have good self-esteem, and express empathy for others. Attachment issues are often associated with children or adolescents who have been adopted because there is a higher probability for disrupted or inconsistent attachment patterns leading up to the actual adoption. Family therapy is often the treatment of choice for children with attachment issues in order to help children connect more effectively as well as coach parents in strategies to help the child work through attachment issues. This can be especially important as attachment issues can sometimes manifest as behavioral problems with children, and traditional parenting behavioral strategies will often prove ineffective. Children may also exhibit symptoms of anxiety or depression related to abandonment and attachment problems. Pathways Psychology Services provides adoption counsellors and more to Winfield, Aurora, Naperville, Wheaton, Glen Ellyn, Oswego, Geneva, Carol Stream, West Chicago, Bartlett, Downers Grove, Plainfield, and surrounding IL communities.